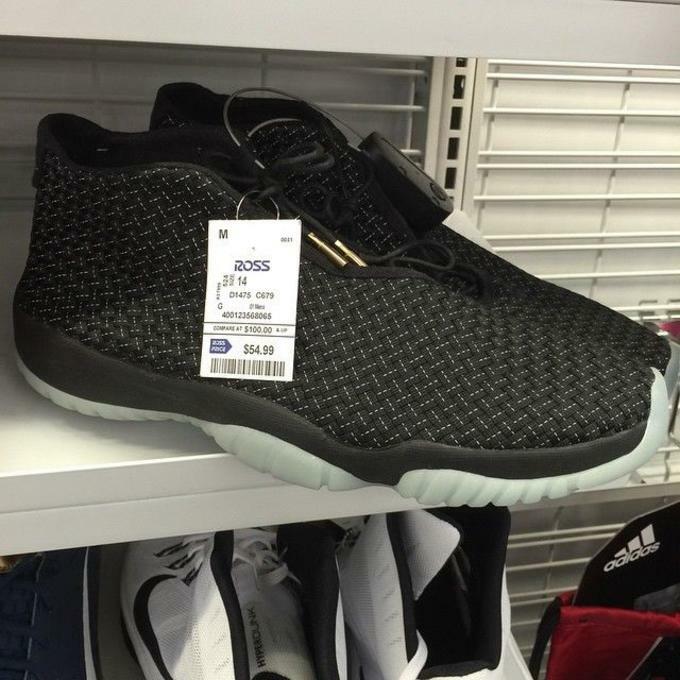 Last week, we broke the news that the coveted Air Jordan Future "Glow," which commands a cool $400 on the secondary market, was spotted on sale at a Ross department store for $55. Apparently, some of the Jordans found at the store weren&apos;t quite discounted enough for one shopper. KLEW reports that a Lewiston, Id., man strolled into a Ross store, found a pair of Js he liked, then kicked off the shoes he was wearing and wore the brand new Jordans out of the store. The only problem is he didn&apos;t pay for them before leaving, and now police are trying to track down the man pictured in the video still above. While police investigate the theft, we can&apos;t help but wonder if this guy made off with a fresh pair of Futures. As if $55 wasn&apos;t already a major come up.